As you all know Coachella is a very big musical event for many people, well also for fashionist. You can probably see people dressed up with their own style on this event. Even celebrities, youtubers and bloggers attend this event every year. Therefore, I decided to create a look for Coachella. To be honest, I really wanna go to Coachella! I'm a big fan for music, fashion, etc. I definitely need to go there in the future! Although I haven't been to Coachella before, I'm giving you my opinions on what/how to wear on the day like Coachella. - The idea about this look is actually all about chill. I know it's so HOT in California at this moment. You also need to stay so close with people when you're listening to music there. 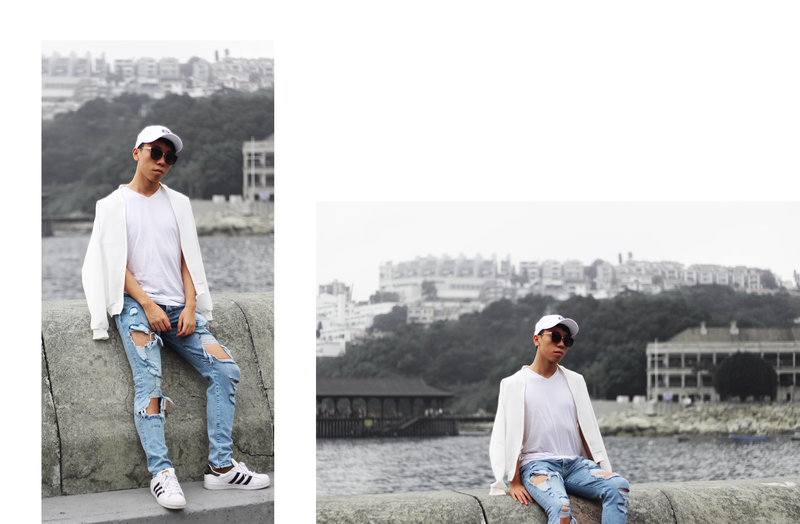 Therefore, no matter for boys or girls, ripped jeans are perfect fit! Ripped shorts or ripped jeans are totally up to you. If you cannot stand the heat, wear ripped shorts then. - You should wear sunglasses! It should be so SUNNY there. You can be more comfortable and being cool at the same time! - I love to wear minimal look. So I just wear a simple t-shirt. It can look casual and chic too (If you want to stand out, you can wear oversized/ different patterns white t-shirt). - Since the temperature may drop at night, I will probably wear a jacket. I wear a white bomber jacket for this look. 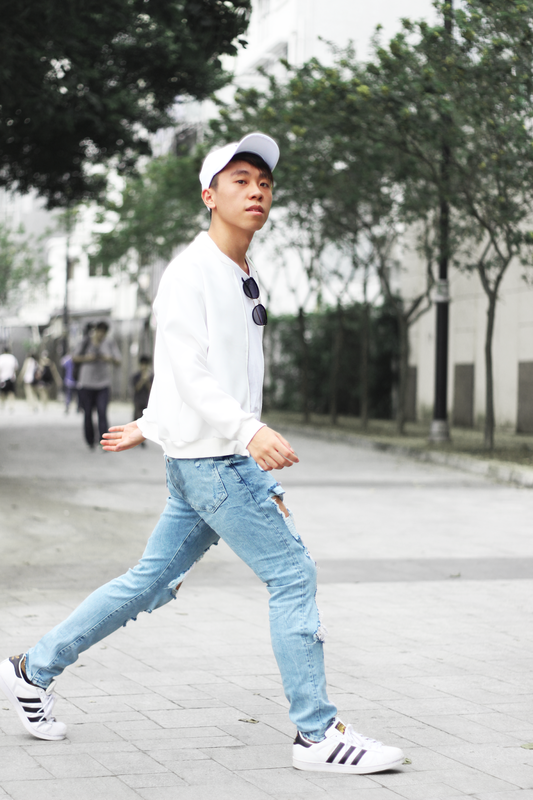 - For shoes, I still prefer wearing sneakers. It's very important to be comfortable when you need to stay there for a whole day! I will not prefer wearing sandals. You will be so tired especially when you need to stand up all day. Wov fantastic outfit, I wrote about Coachella on my blog. It is the best festival. :) BTW. I hype you on LB. :) Have u nice day. This is such a unique outfit for coachella! Super simple and clean~ Followed you via GFC! Your blog is amazing! 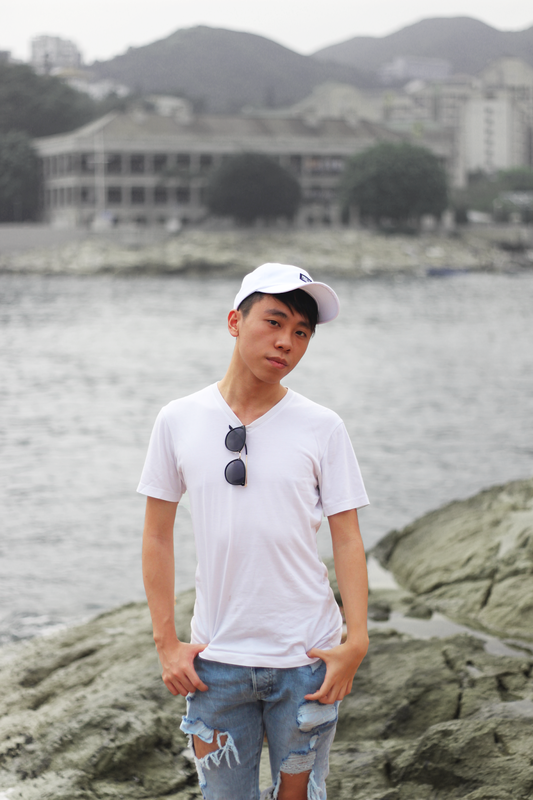 I loved your photo and your style! I would love to go to Coachella some day too, but I am not sure I would opt for white. With all the sand, things are bound to get dirty quick. You look so handsome! Great photos! Daniel these pictures are simply beautiful. You look perfect! 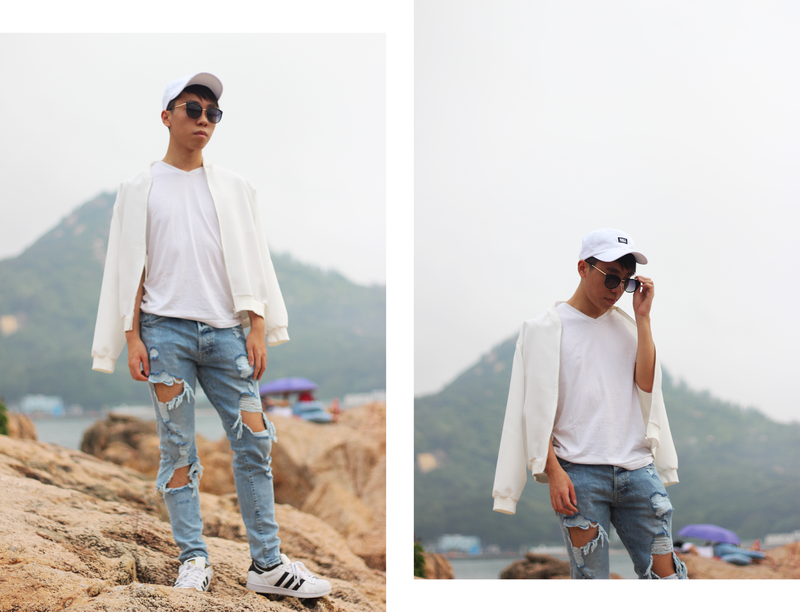 White and denim are perfect together! You look cool and neat! this is beautiful, the background, the colors that work perfectly together! Amazing minimalist look dear! These pictures are perfect!! Love your outfit, it looks super cool and effortless. Amazing look :) Love your jeans! Such a great classic look! You definitely pull off the white tee outfit very well. I can totally see this at Coachella! Love your style, dear! The pics are also very, very, very good! Love the post! You've totally nailed this look! I love looking at the fashion of Coachella and I get so jealous by the incredible fashion! Great post!! Great photos!! Great blog!! Daniel, I love this look! The best part about it is that even though it is festival inspired, I can totally picture it in big cities like New York and LA. Great job! Totally love this look - so minimal and simple - just perfect! 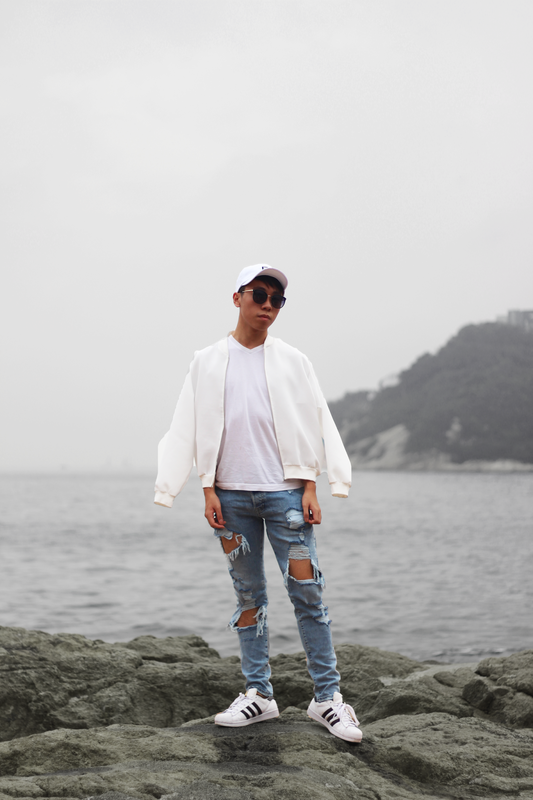 This outfit is awesome - loving those jeans and the location for your photos! Thanks dear Daniel :D You look super cool! Handsome and chic look! I would also love to go to Coachella in the future. You look so good in these photos! I love those jeans and the photography is on point. Absolutely killed this look! Dope style. Thanks for the visit. Perfect head-to-toe look! Classic and chic -- and everything looks great w/ Adidas, right? Love the look, you have such a cool style. Loving this look from head to toe. Have a nice day. Super cute look, Daniel! Ditto on that jacket for the evenings! You look great, and I love your photos! This is such a nicely styled outfit, Daniel! I adore the white blazer paired with the distressed jeans, so refreshing and perfect for the season! Thanks so much for sharing and I hope you're having a great start to your week so far! I like the cream and white color combo on top and the jeans are great! 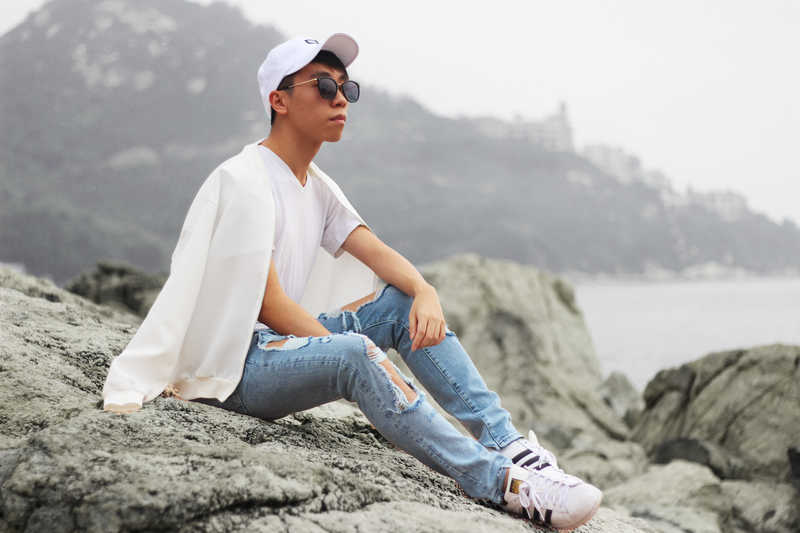 You look so rad Daniel, the Adidas sneakers and the Firmoo sunglasses add pizzazz to the look! Great post! I love the ripped jeans and sneakers! There def isn't enough Men's coachella looks out there! I love this one - I love how it's both laid back and sophisticated! white on white is definitely a favorite of mine! Totally on point! Loving it! You look supercool. Love those denims. Just followed you on GFC and Facebook. Very cool look! Ripped Jeans are always a great choice, aren't they? Those jeans are just perfect for coachella. Love this look, the jeans are just perfect! Awesome distressed denim Daniel! Gorgeous look. 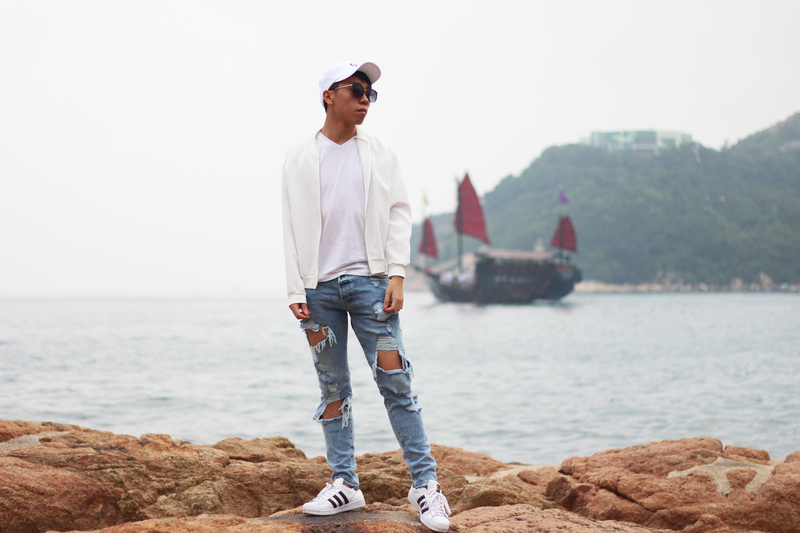 I love the combination of this ripped jeans an the classic superstars! I would't say that it is a Coachella look but I definitely love this look! I love all the Coachella inspired posts! This one has to be one of my favourites! Your style is amazing! I am really glad to see your style. I like this dear! !